Of the trio, our favorite is the Cadillac CTS Sport Wagon. The rear doors are wider, for better access, and the cargo area has lots of useful tiedowns--and it doesn't give up a bit of performance. It has a styling leg up, and the 2012 Cadillac CTS backs up its looks with good dynamics, good build quality and a competitive set of body styles and options. It took a generation, but today's Cadillac CTS can truly bill itself as "world-class." When it bowed in 2003, the entry-level Caddy lacked a certain refinement in styling and materials--not to mention the coupes, wagons, and super-sport derivatives that Audi, BMW, Mercedes, even Lexus already had on tap. Since it emerged in 2008, the second-generation CTS has pitched Cadillac, at long last, into the heated battle waged between the likes of the BMW 3-Series, Mercedes-Benz C-Class, Audi A4, even the Infiniti G37 and Lexus IS. A truly sporty sedan, it now counts Coupe and Wagon models along with its Sedan stock and trade--and has a world-beating CTS-V lineup as its trump card. Two engines, a choice of manual or paddle-shifted automatic transmissions, and an option for all-wheel drive allow drivers to configure their CTS in some interesting ways. 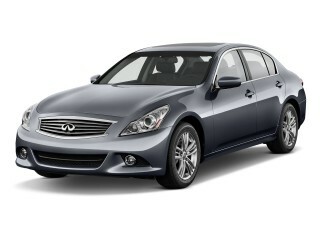 Price is the reason to stick with the base 3.0-liter, 270-horsepower V-6 with direct injection, in sedans or wagons. It's smooth, relatively quiet, and puts out reasonably brisk performance. 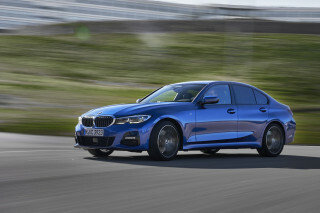 All coupes and other wagons and sedans get a revamped version of GM's 3.6-liter direct-injected six-cylinder this year; we haven't driven it yet, but the 318-hp six is sure to be our preference, with its 48-hp advantage over the base engine, and its close specs to the outgoing engine. Definitely give a pass to the balky manual six-speed transmission: it's only offered on base coupes and sedans, and in any case, GM's GM's six-speed automatic, with paddle shifters and sweet gear changes, is a better companion for sporty driving, anyway. All body styles have an option for all-wheel drive, and it extracts the usual weight and gas-mileage penalty--but makes the CTS more usable in the northern tier. We've driven most of the available combinations of drivetrains, and in all, the CTS has some common traits, no matter how it's configured. Steering is a highlight, even crisper when a sport package with summer tires is added--the "FE3" setup on rear-drive models. 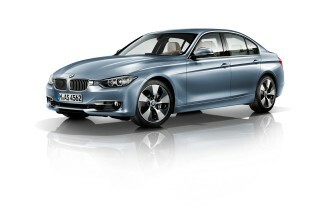 Ride quality is well-controlled on sedans and especially on wagons, while the stubby coupe can feel a tad more busy. In the grander scheme, the CTS has finally hit its intended targets for ride and handling, just as Infiniti's done with the G37 lineup. All CTS vehicles are rated at 18/27 mpg except for the AWD sedans and wagons, which earn 18/26-mpg ratings, and manual rear-drive coupes, which are rated at 17/25 mpg. In a class full of attractively styled cars, the 2012 Cadillac CTS continues to stand out with a unique look that will woo many. Though it's largely unchanged for 2012, the Cadillac CTS continues to cut an imitable figure in the competitive set of midsize luxury sedans--or wagons, or coupes. 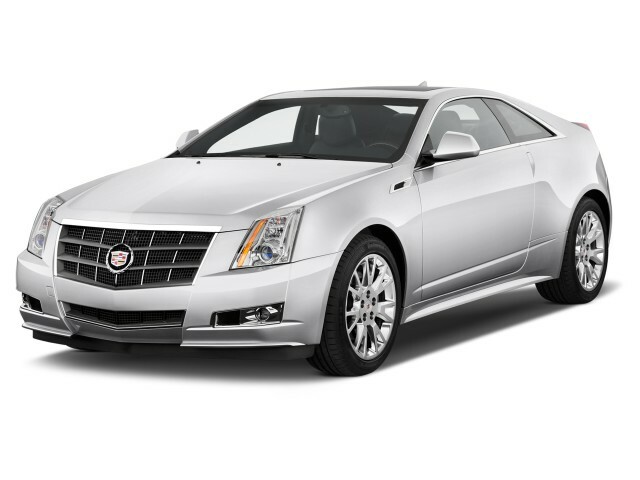 Sharp-folded edges, a broad, planted stance, and plenty of chrome details give the CTS a sporting, truncated look. A huge Cadillac emblem on the grille reminds you--and everyone else on the road--what you're driving. For those not in love with the Art & Science design theme, the CTS may be a disaster. For everyone else, however, it's a head-turning combination of modern looks and classic proportions. The Coupe is probably the most polarizing, with its chunky rear fenders, creased center leading to a pointed tail, and large, spoiler-like center-mounted tail light. The Wagon doesn't come up short on style either, though, with an intentionally off-angle rear pillar shape to set off its glass edge. Almost tailfin-like details on its rear remind of Cadillacs past, but with a completely contemporary look. Wherever your eyes fall on the CTS, be it wagon, sedan, or coupe, they are eventually drawn to the slab-like, sculpted sides and back up to the sizable, shapely rear--particularly in the Coupe and Sport Wagon. Inside, the 2012 CTS is attractive, but again, won't be to everyone's taste: it's American, with flowing contours and smooth surfaces highlighted by polished wood and plastic, chrome-finish accents, and leather upholstery. Almost all of the controls are busily packed into the V-shaped center console area, from which the navigation screen rises and hides at the top of the stack. It's elegant, but Teutonic sparseness is not in its vocabulary.n, both stylistically and functionally. While the 2012 Cadillac CTS isn't downright quick until you step up to the V-series, it's quick enough, agile for its size, and engaging behind the wheel. For 2012, the Cadillac CTS range (excluding the V-series) gets a choice of two engines in sedan and Sport Wagon forms, a base 3.0-liter direct-injection V-6 rated at 270 horsepower, and a 3.6-liter direct-injection V-6 rated at 318 horsepower. It's most commonly paired with a six-speed automatic transmission (which is standard on the 3.6-liter engine and all all-wheel-drive models) but is available with a six-speed manual in rear-drive models with the 3.0-liter V-6. The Coupe, on the other hand, only offers the 3.6-liter engine, and is only available with a six-speed automatic transmission. Both rear- and all-wheel-drive models are available. Looking beyond the hard numbers, the CTS family offers a lot of engagement for an avid driver. Both engines prefer to rev, gaining pep as they climb the tachometer; neither is downright quick, however, especially off the line. Still, in the upper one-third of the rev range, the 3.6-liter engine in particular is willing and able--and sweet-sounding--when pushed. All three versions click off a 0-60 mph run in about seven seconds--slightly less for the slightly lighter sedan. The six-speed automatic is smooth-shifting and surprisingly capable in full-auto sport mode. Shifts can also be commanded directly, through buttons on the back of the steering wheel. In all three models, which offer four different factory suspension setups, handling is generally comfortable but balanced with firm feel and body control. The FE3 suspension offers a great compromise solution, with the 19-inch wheels and summer tires providing a sharper feel to steering and more ultimate grip, while the dampers and tuning iron out the bigger bumps. 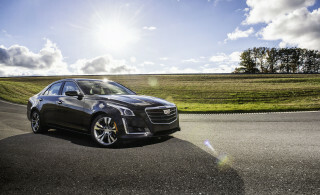 Driven with spirit, the CTS feels firm and planted, though it will tend toward understeer when pushed very hard. It's even a willing companion on a winding back road, but it's most at home bombing down freeways Autobahn-style. 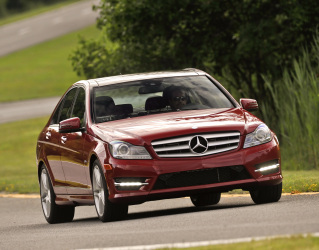 An upgraded Performance Package offers a firmer, sportier suspension tune, 19-inch polished aluminum wheels, and Continental ContiSport Contact summer tires, an upgraded cooling system, and beefier performance brakes. Even without the Performance Package, however, the CTS's brake feel is very good, and modulation is easy. With a heavy car, however, more heat absorption capability is a good thing. The 2012 Cadillac CTS Coupe and Sedan can be a little tight inside, and the front seats aren't perfect, but the Sport Wagon makes great use of the footprint. The cabin of the 2012 Cadillac CTS is a success on most accounts, but the one shortfall is one to consider: the front seats. There's enough room for most, though leg and knee room are a bit snug. Too-flat, too-hard cushions in the front buckets, combined with a bump midway up the middle of the backrest, and a dearth of headroom in sunroof-equipped models, however, makes them less than comfortable. The back seats, on the other hand, are surprisingly spacious and comfortable, even in the Coupe, which shares its wheelbase with the sedan. Headroom can be a bit short in the back, but is only a problem for taller occupants. Getting in and out of the back seat is the only draw back: small door openings make it difficult for large or lanky adults. The Sport Wagon, on the other hand, remedies this deficiency with longer, wider doors at floor level. For cargo space, the Sport Wagon is the clear winner, with a massive 25 cubic feet of space behind the rear seats, or 53.4 cubes with the seats folded flat. The power tailgate makes it convenient, and a roof-rack system adds even more capacity when the need arises. Under the flat cargo floor, there are trays, hooks, and tie-downs to help secure cargo. The Sedan's cargo space isn't bad, with 14 cubic feet in the trunk; the Coupe is a bit less spacious, but the rear seats are split-folding to open up quite a bit of room. In general, the details--materials, panel fit, and feel--are well-executed. Some of the panels don't fit quite as well as you'd find in a BMW or an Audi, but they're close, and still very good. Soft-touch plastics, rubber-coated steering wheel shifters, and cut-and-sew leather on the dash and doors all give a premium feel. Ergonomics are generally good, too, though the location of the trip meter button makes it a blind operation while driving. 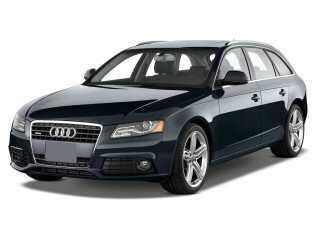 Cabin noise is also very low, which is perhaps expected in the Coupe and Sedan, but may surprise in the Sport Wagon. Wagons, crossovers, and hatchbacks (as well as SUVs) are known for their boominess, but there's very little in the CTS wagon. Road, wind, and engine noise are also very low. Excellent safety scores and a strong set of standard safety equipment make the 2012 CTS a top choice, but rearward visibility may be an issue for some. With Top Safety Pick status from the IIHS (Insurance Institute for Highway Safety) in Sedan form, the 2012 Cadillac CTS scores high marks in passenger safety. The Sedan and Sport Wagon also score five-star ratings from the NHTSA in front and side-impact crash tests. 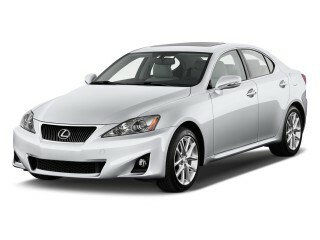 The Coupe hasn't been rated by the NHTSA, but the IIHS gives all CTS models top marks of "good." In addition to the strong crash-test ranks, the 2012 CTS also comes with a healthy set of standard and optional safety equipment, including: six airbags; traction and stability control; optional all-wheel drive (which is standard on the Sport Wagon); optional adaptive lighting; available parking sensors; and an optional rearview backup camera. In any CTS, but especially the Coupe, rearward visibility can be compromised by the chunky rear roof pillars. The sedans suffer the least from this issue. Once you've upgraded from the base upholstery, the 2012 CTS offers plenty of surround sound, navigation, infotainment, and comfort options to compete with, and occasionally beat, the best in class. If you're not familiar with Cadillac--or have an outdated point of reference--you might be surprised to learn the 2012 CTS offers a features an options list that's not just competitive with its German and Japanese rivals, but in some ways is superior. The base sedan offers power door locks, windows, and mirrors; cruise control; automatic dual-zone climate control; a power driver seat; a tilt and telescoping steering wheel; an AM/FM/CD/XM audio system with auxiliary jack; an air filtration system; and automatic headlamps. Base models also come with "leatherette" vinyl seats, a disappointing fact, but common to most of the European alternatives, too. The Sport Wagon adds a power liftgate to the standard list. The Performance Package adds the FE2 suspension, 18-inch wheels, and HID headlamps. Opting for the package on the larger V-6 models brings surround sound and a USB/iPod interface, too. A panoramic sunroof, 40-GB hard drive navigation/infotainment system, heated seats, and Bluetooth connectivity are also available. Beware the sticker price, however, as throwing all of these at a CTS can quickly push the price toward $50,000--though even then, it's competitive with the likes of the Audi A4 Avant. The 2012 Cadillac CTS line's gas mileage just isn't all that green. In rear-wheel drive guise, the CTS Sedan and Coupe score fuel economy ratings of 18/27 mpg for both the 3.0-liter (sedan only) and 3.6-liter engines when paired with the automatic transmission. Opting for the manual cuts those figures to 16/26 mpg. Going all-wheel drive returns nearly identical fuel economy figures: 18/27 mpg with the larger V-6, 18/26 mpg with the smaller engine. The Sport Wagon also returns similar figures, with the 3.0-liter engine rating 18/27 mpg and the 3.6-liter V-6 returning 18/26 mpg. While those figures won't break the bank, they're on the lower end of cars in the class. When the kids have grown-up, dad no longer needs boring minivans and large SUV's. CTS Sportwagon with Performance package is the best car I have ever owned. All wheel drive, great handling. Sportwagon with performance package makes it the near perfect car for me. I does everything I need with the style and performance I want.